This is the official pro-Israel, counter-boycott page against Scotch Whisky, distilled in the anti-Israel region of West Dunbartonshire, Scotland. My good friend and fellow blogger, Aussie Dave from Israellycool has been following this story since it's inception. The story also appeared on my blog, and in other news sources as well. I believe its best to contact the whisky distillers directly, since the West Dunbartonshire Council of Wise Men couldn't care less what a pro-Israel, pro-liberty, person might think...but they might listen to voices of their constituents; specifically the Scotch whisky distilleries in their council's region. This is the most current and accurate list I could procure based on the addresses of distiller's in the West Dunbartonshire Council region. Please contact me if I have omitted any whisky from this region, and I will gladly update the list. I urge you to write to these fine distillers of whisky, and express your outrage and support of the counter-boycott. Pass this list on to your friends and neighbors. It is simply immoral for the West Dunbartonshire Council to boycott Israel. Following is the letter I sent them today...feel free to use it in expressing your sentiments to these distillers. Click here to see the letter I wrote to the distillers. 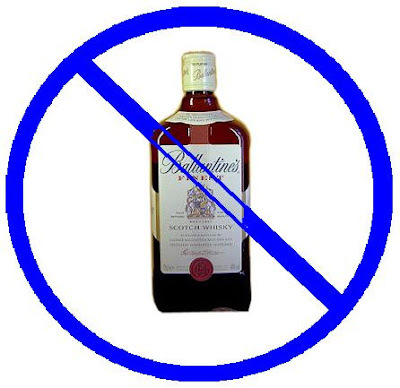 It is the official landing page of the Scotch Whisky Counter Boycott. After the torture and murder of 13 year old Hamza al-Khatib, does Hillary Clinton and Barak Obama really believe that the Syrian government can reform - or even deserves the chance to "try"? To quote PM Netanyahu, Israel is not what is wrong about the Middle East. Israel is what is right about the Middle East. The people of Syria also deserve freedom from the tyranny of the Assad dictatorship - and hopefully they will build a true democracy (even if Egypt does not appear to be heading that way). The UK newspaper, "Telegraph" reviews a new book ""Primetime Propaganda" by conservative columnist and author Ben Shapiro -- where he accuses television executives and writers of "pushing a liberal agenda in several high profile American television entertainment shows." "His book "Primetime Propaganda" will show how the "most powerful medium of mass communication in human history became a vehicle for spreading the radical agenda of the left side of the political spectrum," according to the publishers HarperCollins. Shapiro interviewed dozens of leading industry figures, some of whom admitted to including a left wing bias in their shows. 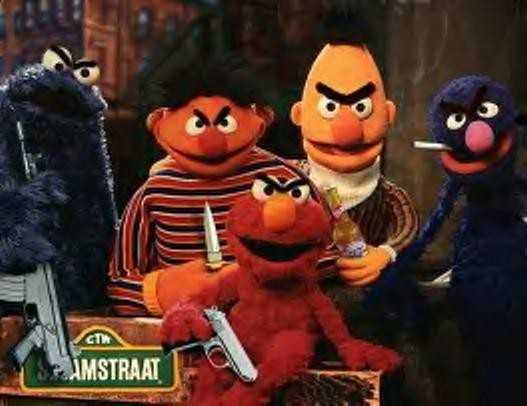 The results showed "unrepentant abuses of the Hollywood entertainment industry" and how movers and shakers in the television world tried to "shape America in their own leftist image"
Sesame Street has previously been accused of being left wing. In 2009 an episode mocked Fox News. The segment showed the character of Oscar as a reporter for the Grouch News Network and had a viewer telling him: "From now on I am watching 'Pox' News. Now there is a trashy news show." I'm still reeling from the revelation that Bert was photographed with Osama bin Laden. Update: This post is outdated. The updated link with all the information is here. This is the post I wish I didn't have to write. Areas of Scotland are now boycotting Israeli books...and products. Its only fitting for people who believe that Israel is entitled to self defense (something Scotland obviously believes Israel isn't entitled to), that we boycott Scottish whiskys from the areas in Scotland (West Dunbartonshire, Dundee) that are boycotting Israeli products. If you find more...please let me know in the comments section. Once we have a definitive list, I will present it the Duty Free people in Ben-Gurion airport and will make the case for them to remove those whiskys from their shelves. Boycott these whiskys, people! They don't deserve your money...though I wonder how much support they would get from Gaza. IMRA speaks with PA Deputy Prime Minister Nabil Shaath (and PA Deputy for Gaza) and asks, once the reunification between Hamas and the PA is complete what will happen to Gilad Shalit. Will he be released? PA Deputy Prime Minister Nabil Shaath explains that Gilad Shalit will be used by the PA to get as may prisoners (terrorists) released from Israeli jails as possible. He could not say if negotiations will be easier or more difficult than they are directly with Hamas. IMRI: When unification is completed, of the Gaza Strip and West Bank under one authority again, what do you expect would happen with the handling of the Gilad Shalit case? Would that still be the purview of Hamas, or would it be the responsibility of this unified authority? Labels: Gilad Shalit. Hamas. PA. Palestinian Authority. Gaza.Unification. What could possibly surprise a first class passenger in EL-AL's luxurious, comfortable and quiet cabin? Perhaps a cloud or maybe an air pocket...that's what "S.A." thought when he purchased such a prestigious ticket for a flight to New York in January this year. He was looking forward to the promised rest and EL-AL luxury because he was anticipating hectic business days prior to the trip. El Al boasts that their hyper-comfortable first-class seats are manufactured in France [known for its first class seats? ], and the seats turn into fully flat beds to allow for rest and sleep during the flight. Indeed, the passenger settled down in his first class seat and prepared to sleep to reinvigorate himself for the coming days. While the passenger peacefully slept, a cat suddenly emerged from a lower class section of the aircraft, and in a wild, rancorous rampage, attacked the passenger. Even after the feline predator was caught, the passenger could not clam down nor return to rest or sleep. His expensive first class investment proved a great disappointment. What made this debacle even more catastrophic, was that the it turned out that the cat belonged to a "tourist" class passenger and had made the long journey up to first class, unimpeded. How can an animal be removed from it's cage against regulations? How could the animal have made the long trip possible from tourist class to first class without being caught? Why is there no barrier preventing an animal's entrance to first class? 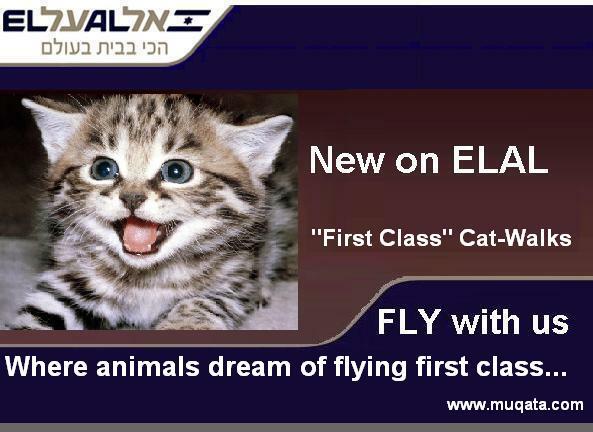 What does EL-AL have to say? Upon his return to Israel, "S.A." penned an angry letter El-AL, describing the sequence of events and he received an apology call from El Al. 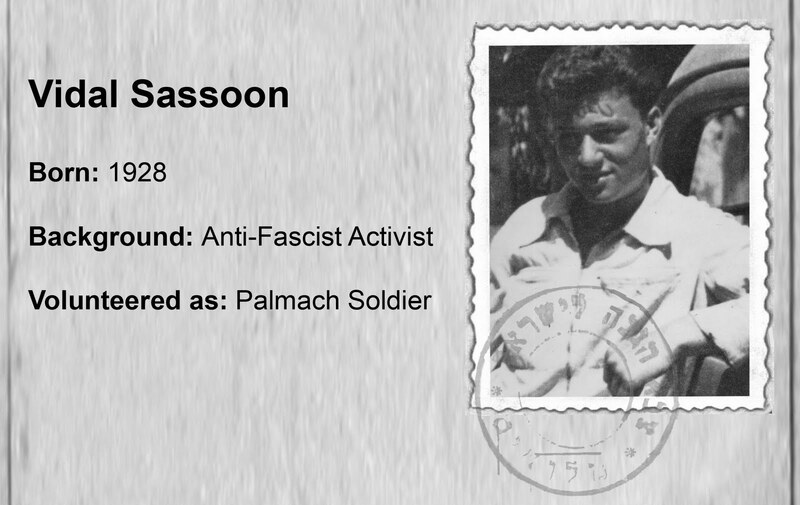 However, "S.A." felt he had not received his money's value for the traumatic flight, and contacted his attorney demanding that EL-AL provide a compensatory first-class ticket to the same destination. El Al refused to compensate him for the exceptional event. "As explained directly to the applicant, according to airline regulations, passengers may fly accompanied by animals weighing up to 8 kg, while in a cage or bag adapted to them. Although we are careful to instruct the passengers that animals must stay in their cage or bag during the whole flight, one passenger on the flight in question, contrary to the guidelines, released the cat. Upon seeing the cat's emergence from it's cage, the flight service crew immediately warned the cat's owner and told her to return the pet to its cage. El Al apologized for the inconvenience and annoyance caused by the passenger." A Cloud or air pocket? Maybe the cat also wanted to experience the grandeur of EL-AL's Royal First Class. I don't believe the passenger was really attacked by a cat -- at most, it probably walked on him. 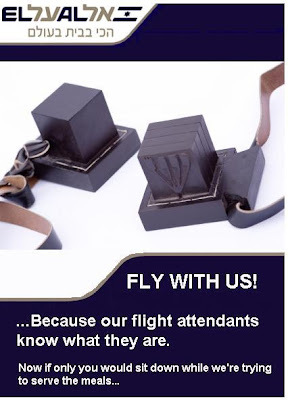 Had he really been attacked, EL-AL would have offered him a quality waffle-maker. The classic "Personal Mechitza" ad, based on the following story. Prime Minister Netanyahu's speech before the US Congress today brought many accolades from Jews around the world. "Kiddush Hashem" -- a sanctification of God's Name. 6. No return to indefensible 1967 borders. 1. Israel will remain a Democracy with a 20% Arab population -- yet the Palestinian State demands to be Judenrein, free of Jews. The land of Israel is the heartland of the Jewish people, the spiritual hub of Judaism -- giving it away in the name of the biggest PR scam in history, the "existence of a Palestinian people" is simply ludicrous. Giving in to the demands for a Palestinian State is the worst capitulation to terror in modern history. 2. Assuming I ignore everything stated above, I don't believe that Netanyahu would actually stand up to his own conditions. Just as the Oslo accords were full of fanciful arrangements (some which all collapsed immediately and the rest of them over time) -- they were a marketing masterpiece. The radical left wing idea of a Palestinian State in 1993 would never have received backing of the Israeli people, so it was spun and marketed till it became facts on the ground...and the idea gradually took hold of Israel's center...and has even encroached on the Israeli right. 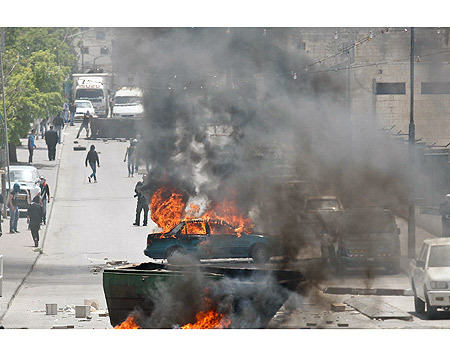 Netanyahu has openly written about the dangers of a Palestinian State. He has already capitulated and rejected his own published works...I see no reason to believe he will back his own conditions in future negotiations. It's irrelevant that my home and community are on the chopping block -- every single Jewish home and community in Judea and Samaria should remain under Israeli rule. Regardless of whether any Palestinian State ever comes into existence or not, the land of Israel, in its entirety, will forever be the homeland of the Jewish people. It will yet again be entirely ruled by Israel. The land is indeed, very, very good. The Republicans just found the candidate that can easily beat Obama in 2012 hands down. As regular readers know, I'm not a big fan of the F-35. We typically have a few commentors on the blog that agree me with very strongly on that when I bring up the subject. There's very little about the F-35 that excites me, especially when compared to the far superior F-22. But all that is for another post. "Affordable Export-Friendly Stealth" means inferior, and now we also know it means more expensive. "Common Coalition" means unfriendly states like Iran's close friend Turkey are building the engines (or not). Israel has ordered a number of F-35s, but now it looks like perhaps they won't come at all. Due to cost overruns the Senate is considering scrapping the F-35 project. 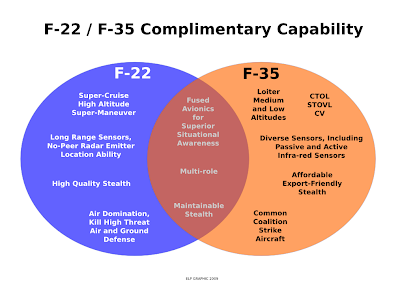 At least one possible advantage to this, is that if Israel does buy a few F-35s, we might at least be able to install our own avionics in Israel. That will at least improve this airplane. What is wrong with Tzipi Livni? Why does Otniel Schneller, a member of Opposition Leader Tzipi Livni's party (though admittedly to the right of Livni) need to remind Livni that it is completely unprofessional to attack the Prime Minister of the country when he is overseas? Livni added that such a prime minister should resign. "I am saying this loud and clear." Is the basic concept of "politics ends at the water's edge" for politicians so foreign to this person who imagines herself qualified to be prime minister, that she will actually try to cut down the prime minister while nearly everyone else in Israel sees their country being attacked and commends Netanyahu defending it? She takes this absolute Leftwing position, and despite that, doesn't realize how absurd her position is, when she cannot even travel to England without worrying about being arrested. If Livni wanted to really show political maturity, she would get on a plane and go to England. That more than anything would show she is prepared to take steps that need to be taken to defend out citizens, and it would force the British government to risk creating an international incident, or alternatively, finally end this absurd situation where Israeli politicians and officers cannot go to England without threat of arrest. But Livni won't be doing that. It's easier to heckle from the back rows than to show political maturity. This is classic Netanyahu that we remember from the old days. 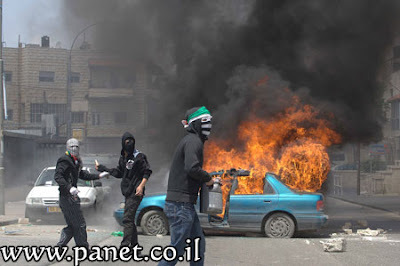 A very bad and dangerous Obama speech for Israel. I'm heartened to see that Bibi actually (finally) and firmly stood up to Obama - including reminding him that Obama can't simply disregard US commitments to Israel, commitments that Israel relied upon to take risky actions for peace (not that the actions could bring peace, since that's only in the Arab's hands). Labels: Obama speech. Netanyahu. 67. On the other hand, there is good graffiti. Craig Dershowitz, president of "Artists4Israel" helped bring over 15 artists from the US and Europe to repaint Hevron over a two day period. 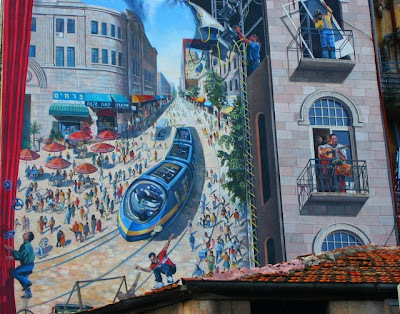 You can visit the Artists4Israel blog here. Thank you all for leaving your mark. 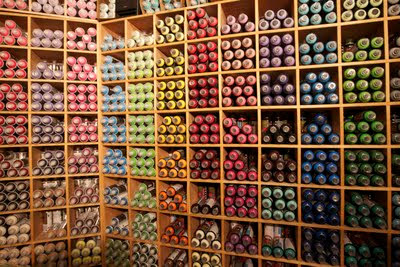 That's a lot of spray paint (700 cans or so). Labels: artists4israel. 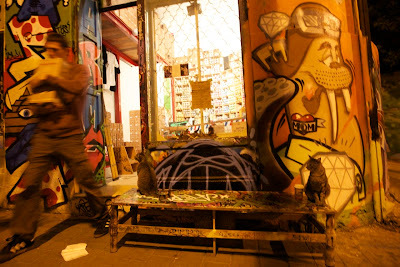 artists 4 israel. spray paint. graffiti. hebron. hevron. craig dershowitz. So Ehud Barak's latest remark is that US military aid to Israel is "at risk" if Israel doesn't produce a "daring" initiative for "peace". Sometimes I just don't know if Barak is a fig leaf or a fifth column in Netanyahu's government. Contrast Barak's threats of international protests and the risk of lost military aid to Likud MK Danny Danon's practically prescient op-ed in the NY Times that responds to Ehud Barak's remarks even before they were written. Danon writes that Israel has made difficult decisions in the past that were internationally unpopular, but right, such as annexing Jerusalem and the Golan. "In each of these cases, Israel’s actions were met with harsh international criticism and threats of sanctions; all of these decisions, however, are cornerstones of today’s reality." And Danon does offer a daring plan that Israel can offer for peace, but a plan that Barak would virulently disagree with. Danon say that "[Netanyahu] should in fact do the opposite: he should annex the Jewish communities of the West Bank, or as Israelis prefer to refer to our historic heartland, Judea and Samaria. " Danon is offering a very daring plan. 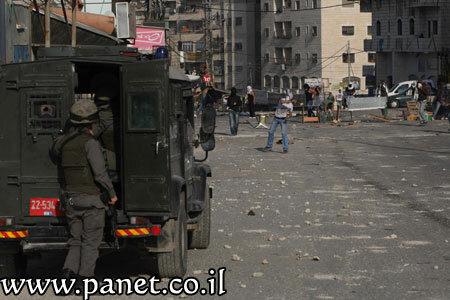 "[Israel] could then extend full Israeli jurisdiction to the Jewish communities and uninhabited lands of the West Bank. This would put an end to a legal limbo that has existed for 44 years." And as for the Palestinians, "we would be well within our rights to assert, as we did in Gaza after our disengagement in 2005, that we are no longer responsible for the Palestinian residents of the West Bank, who would continue to live in their own — unannexed — towns." In short, like in Gaza, they can do whatever they want, have whatever government they want, kill each other as much as they want, as long as they don't threaten Israel. 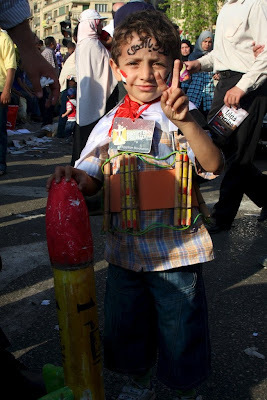 This is a peace plan that the majority of Israelis could accept. And as for US military aid, the end of US military aid would be the end of the shackles locking Israeli military industries out of major deals, where Israel was forced to cancel deals because of US pressure. It would also allow us to not have to buy the F-35 and instead allow us to develop and sell) our own equivalent of the F-22. It would also be the end of the US's Middle East cornerstone and bond to the only stable (an democratic) country it can actually (proven) count on in the Middle East. Mr. Netanyahu. If you want to go to Washington and make a daring offer for peace, then you need go no further then listen to your own party member Danny Danon. I haven't gotten around to taking pictures of it, but I've noticed that this is becoming an epidemic. 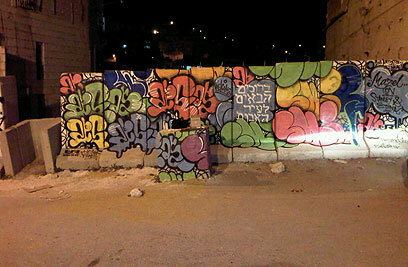 I'm talking about graffiti in Jerusalem. 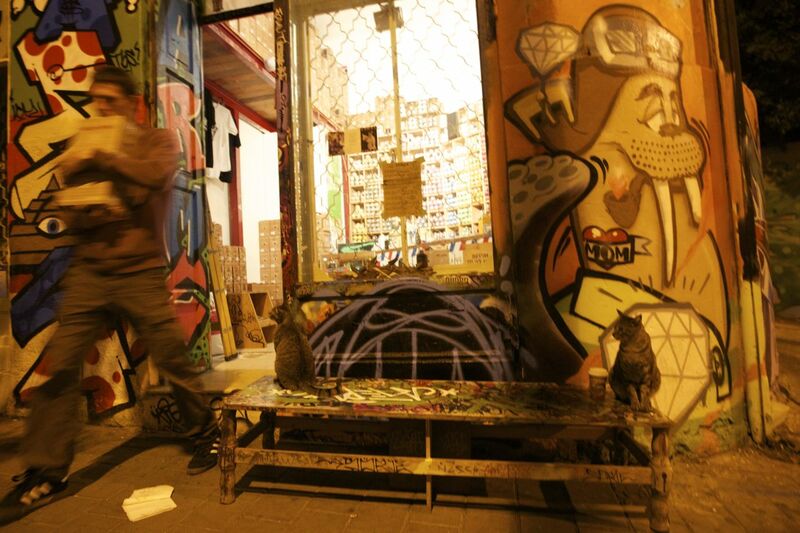 It's bad enough that the idiotic "Na Nach Nachman..." and "אז" garbage has defaced our city (and country) everywhere, but now the latest are the (ugly) "tags" some people are painting everywhere they can. The light rail train stops are hardly a year old, and I don't believe I passed one without some idiot's tags defacing these brand new structures. I was driving by Malcha as the train passed the other day, and one of the trains was completely defaced with really ugly graffiti - if they were going to paint up an entire train they could have at least done a nice job of it. I've noticed there is a lot more meaningless graffiti on Jerusalem building than their used to be. And all of it ugly. It's not like the guy who used to put electrical tape on the traffic lights so they would show smiley faces. That guy at least had a sense of humor. And it's not like some of the beautiful murals that you can see in a few places. It bothers me that there is such disrespect and meaningless, ugly defacement of public property. 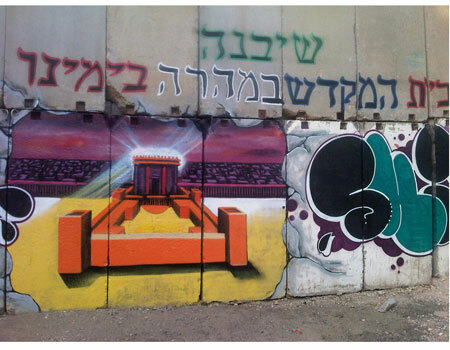 Nir Barkat, please pull a Giuliani and clean up the graffiti. Head over to JoeSettler for a post on Women Drivers. One can only hope that Jameel will write about at least a small part of his Milluim experience this past month, especially the Nakba related stories, and he's got a lot of them. I'm getting the stories real-time (yes even in the middle of the night), and they range from exciting, to amusing, to downright "that's just not right" (but in a good way). I look forward to seeing what our Chayal Mitztayen puts into print and shares with the rest of the world. Someone pointed out to me an article in one of the Jewish Lefty rags. In the article they were calling Israel a racist, discriminatory country. Their proof? Because only 2,198 out of the 196,000 college and university students currently studying in Israel were Ethiopian Jews – a mere 1.12% (from an article in Yisrael Hayom, not a lefty paper by the way). Something bothered me about the way that information was being portrayed, so I did a little research on Wikipedia. In 2008 (the latest numbers in the Wiki) there were 120,000 Ethiopians in Israel, or 1.75% of the total population of Israel. Of those, only 38,500 (32%) were born in Israel. 81,000 were born in Ethiopia. Being born in Ethiopia means that in most likelihood they probably didn’t even know how to read and write when they first got to Israel. In fact, I remember one of the early lifts and visiting the new Ethiopian Olim in a hotel in Jerusalem decades ago. These were people who at the time didn’t even know what a toilet was, that’s how primitive Ethiopia was. Yet here we are, despite a whopping 68% of their population being born in a third world country that for many didn’t even have running water, Israel has managed to create for them the opportunity to reach a point where Ethiopians are nearly proportionally represented in Israeli colleges and universities (not to mention serving in elite IDF units) at any given time relative to their population numbers. Is there room for improvement? Absolutely. And over time those numbers will rise. If this doesn’t prove that Israel is a land of freedom and opportunity, then I don’t know what does. 6:02 PM Exclusive: Armed terrorist caught as he tried to infiltrate into Otniel in Southern Hebron. 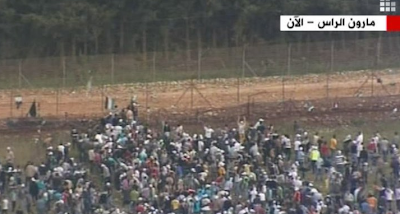 2:57PM Event up North were Arabs cutting the border fence with Syria and trying to infiltrate into Israel. 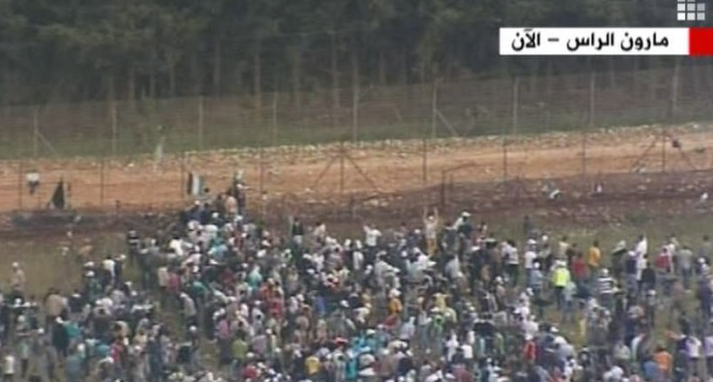 Arab media claims that Hezbollah terrorist managed to get in and out. IDF soldiers managed to defend the border and killed 4 infiltrators. Some Israelis were injured too. 1:32PM Shooting attack in Ramat HaGolan (in Druse village of Magdal Shams). Mass casualties reported. 11:30 AM Israeli news reporting witness statements that after driver hit the last bus and his truck was stuck he got out and started attacking people physically including a girl he hit on the head. 11:10 AM Haaretz reporting that 2 terror trucks were involved. 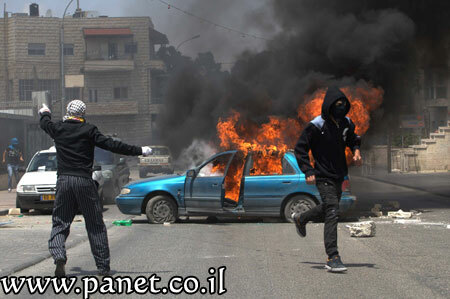 11:02 AM UPDATE: AM Arab Driver is resident of either Kfar Kassem or Arara. 31 people injured. 1 Dead. 1 Critical. At least 2 people arrested, possibly 3. 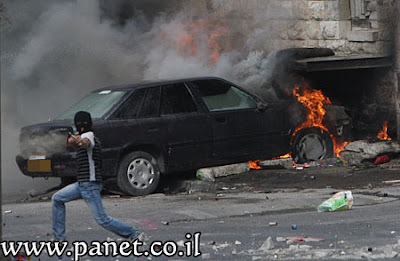 9:52 AM Terror attack in Tel Aviv on highway 461 (Haim Bar Lev Street). Arab driver intentionally ran over people. Many wounded. Police stopped and captured terrorist as he was intentionally running people over. 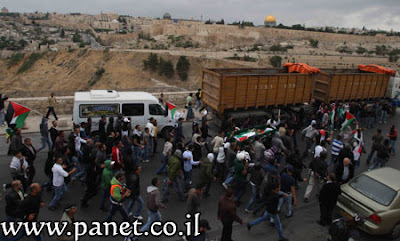 Photo Roundup of the Arab Naqba Celebrations in Jerusalem on Saturday, May 14th. As the Arab world gears up for violent "Naqba" (catastrophe) demonstrations against Israel, it's time to put things into perspective. Naqba Day is commemorated on May 15th, the day on the Gregorian calendar following Israel's Creation on May 14, 1948. Israel extended its hand in peace to the neighboring Arab countries. On May 15th, the day after Israel announced it's creation, all the Arab countries surrounding Israel declared war on Israel and attacked. Despite the overwhelming military force of the Arab states, the fledgling Jewish State won the war. 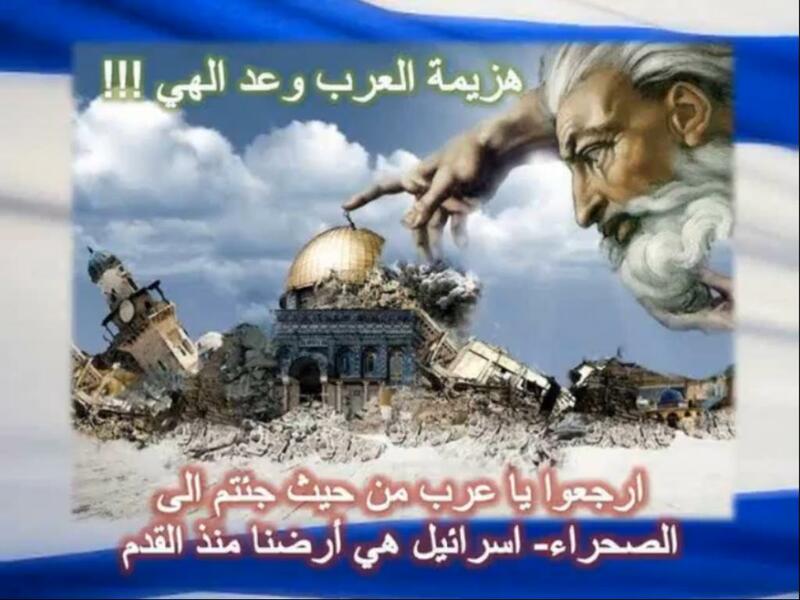 Hence the Naqba...the great "catastrophe" of the Arab world. 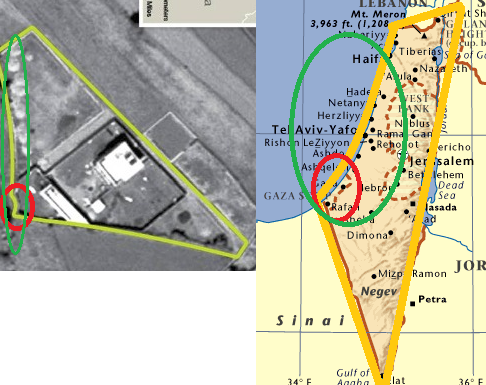 Had Israel lost the war, there would be no Naqba, and there would be no Jewish State. For the second time in a decade, the majority of the world's Jewish population would have faced annihilation. Our survival is their catastrophe. Had there been no Naqba, the Jewish people would barely exist today. So while the Arab world violently commemorates their failure to destroy Israel in 1948, we should and we must celebrate the ongoing existence of the Jewish State. Blogger's back, and just in time. Yesterday began the Weekend's "Naqba Day" celebrations. Kicking it off is this photo from Gaza Tahrir Square in Cairo, Egypt of a proud little boy who has been indoctrinated by his parent into wanting to blow himself up to kill Jews. Labels: Naqba. Nakba. Suicide Bomber. Gaza. How will the Leftists participate in Naqba Day? Im Tirtzu is running a campaign that basically exposes why the "Naqba" is a lie - by placing it within the context of events of that time. Here's the link to the Im Tirtzu Naqba page in Hebrew. I hope they translate it into English. I'm writing this because right now the army is going into a higher state of alert because of the upcoming Naqba Day. Fatah has called upon the Arabs to escalate the violence in their traditional hot spots such as Shimon Hatzaddik (Sheik Jarach), Ir David (Silwan), the Old City and so on - places they usually riot and protest alongside their Leftist counterparts. But the question needs to be asked. 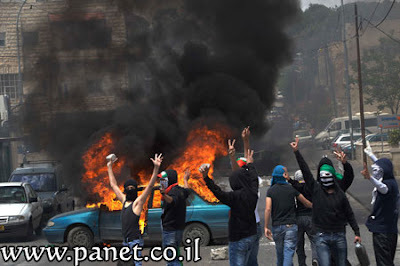 Until now, the Leftists were leading the brigade in many of these violent protests against Israel. What happens Sunday when it reaches a new level? 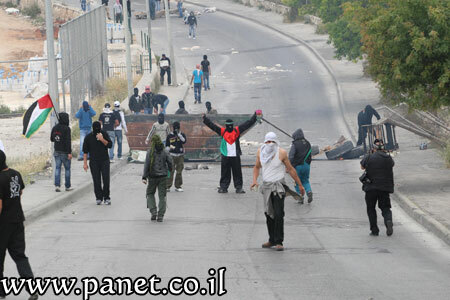 Will we see Rabbis for Human Right Arik Ascherman throwing Molotov cocktails at pillboxes? Will we see Machsom Watch women trying to drive bulldozers over Jews? I'm really curious to know how these Leftists will act when their Arab partners start attacking Israeli soldiers with intent to kill. I'm also wondering if Nakba Day won't start early - from Friday's violence. (Alternatively, I wonder if after all this talk maybe very little will happen at all). Its been a while since I found the time to write a proper blog post about my IDF milluim reserve duty. While the majority of Israelis will be commemorating Israel’s memorial day and celebrating Independence Day at home, there are those who in the reserves who are working overtime in the IDF in the reserves, keeping the country safe. This tour of service for 24 days has been rather eye opening…as we serve in a forward combat IDF outpost in the hills surrounding Hevron. 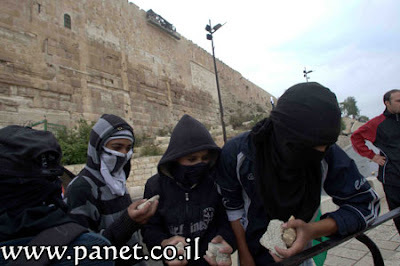 We interact with Arabs and Jews, UN representatives, Left wingers and anarchists, the media…and settlers as well. 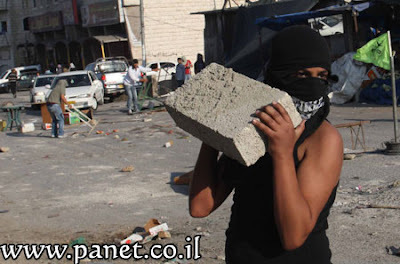 What we really want is for the Shabbat weekends to pass quietly – a rainy weekend means that Leftists won’t go to the Susiya area and create disturbances with the Arabs against the settlers. When it rains, everyone stays home, and we can get some much needed rest. There are young and old people in our unit from all walks of life in Israel. Secular and Religious, soldiers aged 23 to 57, single men, married men, fathers of large and small families, even grandfathers -- all arrived for reserve duty with the common goal of protecting Israel. We are here from all walks of Israel’s society…there are students, blue collar workers, lawyers, tour-guides, rabbis, teachers, engineers, hi-tech managers, and some are unemployed, in-between a myriad of jobs. Reserve duty in our area -- a forward combat zone, means we guard our outpost encampment in multiple locations 24 hours a day, we patrol the roads, set up road checkpoints, man pillbox towers along roads, and are responsible for stopping terrorist activity in our area…but our primary objective is to keep the Jewish settlements safe from terror. This Memorial Day and Independence Day we will be working more hours than usual, protecting the multiple ceremonies and celebrations…so that Israel remains safe. When our 24 days are complete, another reserve unit will take our place – and their commanders are already hard at work planning for the most professional and effective security plan. This past Friday night, those of us who weren’t on a security shift sat down for Shabbat dinner. Everyone participated, regardless of where their level of religious observance happens to be. Our deputy company commander spoke for a few minutes about the weekly Torah reading…we ate, and sang Shabbat Zemirot songs for over an hour….Ashkenazi melodies overlapped and intertwined with Sephardi tunes, as everyone sang together. The IDF is the army of the people. There are those in captivity who cannot celebrate this Yom HaAtzmaut, Israel’s Independence Day. IDF soldier Gilad Shalit is held captive by the PA’s partner, Hamas, denied visits by the Red Cross in gross violation of international law. Lastly, we must thank the IDF soldiers in the regular army and the reserves, without them and G-d’s help, we would be over-run by Arab terror and Islamic jihad. Despite the difficulty, both personal and sometimes ideological, I am proud to be able to serve in the IDF this Israel Memorial day and Independence day. May our Independence merit the full redemption of our people and the ingathering of the exiles. In the critical years from 1946 - 1949, Jews (and some non-Jews) from around the world volunteered to help build and defend the State of Israel. Discreet efforts were made in the US and Europe to recruit manpower, acquire weapons, army surplus, and even airplanes and aircraft carriers. 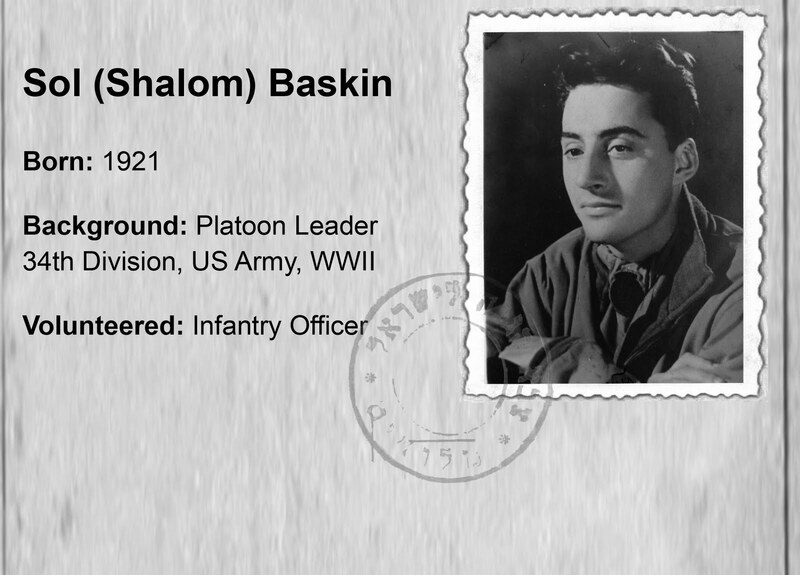 Experienced WWII veterans came to Palestine and formed the basis of Israel’s fledgling Air Force and Navy. Toldot Yisrael's new movie, The Volunteers: Answering the Call of History, tells the stories of people like: Vidal Sassoon, who left a hairdressing apprenticeship in England to come fight in the Palmach; Yeshiva University Chancellor Norman Lamm who volunteered in a bullet making factory in upstate NY; Harold Katz, who dropped out of Harvard Law School to help bring illegal immigrants to Palestine, and others who volunteered to help found the State of Israel.The Volunteers: Answering the Call of History is the third installment in the "Eyewitness 1948" short film series produced by Toldot Yisrael and the History Channel. The films are the centerpiece of an educational pilot program for the US being developed with The iCenter and made possible through the generous support of the Jim Joseph Foundation and others. The first two films in the series, Echoes of a Shofar, and The Story of a Vote have been viewed over 250,000 times since the series launch in September! Toldot Yisrael is a Jerusalem based nonprofit dedicated to recording and sharing the firsthand testimonies of the men and women who helped found the State of Israel. Over 500 video interviews have been conducted with those who were involved during the pre-State struggle and the momentous events of 1948. 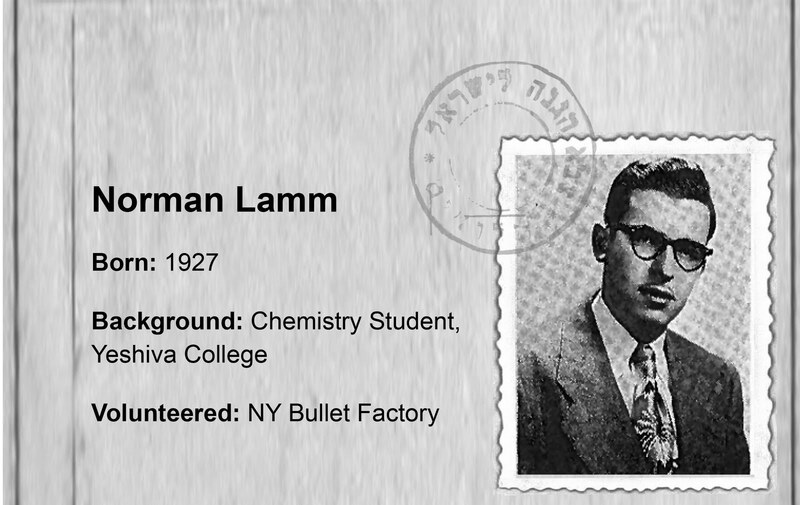 Our aim is to conduct hundreds more over the next several years – while these people who helped make Jewish History are still available to tell their stories. Eyewitness 1948 presents stories that address the heroism of the era as well as the complex moral dilemmas confronted as the young nation battled for its existence. Toldot Yisrael’s footage serves as primary source materials for educational curricula that brings to life the founding of the State of Israel for today’s young Jews. I'm sorry I havent been able to personally update the blog lately, but I've been extremely busy in my IDF reserves service the past week and a half (and another 2 weeks to go). I will say that the experience has been exhasuting, exhilirating, and satisfying in being able to contribute to the safety and security of the people of Israel. Tonight, our combat unit enjoyed 12 pizza pies and coke which was donated to us via Pizza IDF. While IDF food isn't awful, the pizza was a nice late-night meal. The IDF batallion rabbi in our base gave me a special pen today -- its a "Shabbat Pen" for use on Shabbat only when I'm required to write for the sake of urgent combat related issue. The ink disappears after 72 hours, so when writing, one doesn't transgress the bibilical prohibition of permanent writing on Shabbat. Granted, if I didn't have it, and I used a regular pen, it would be just as fine, since the writing I need to do in the IDF on Shabbat is for "pikuach nefesh" (saving lives = combat support and security of the area)...but its nice that the IDF gets these as well. The other main item being supplied to us from the IDF military rabbinate is comabt green tzitzit. While the actual "tziztiyot" are white, the "beged" part of it, (the garment part) is combat green instead of white...which blends in with the rest of the IDF uniform. I was sent this link from the French website JSSNews. 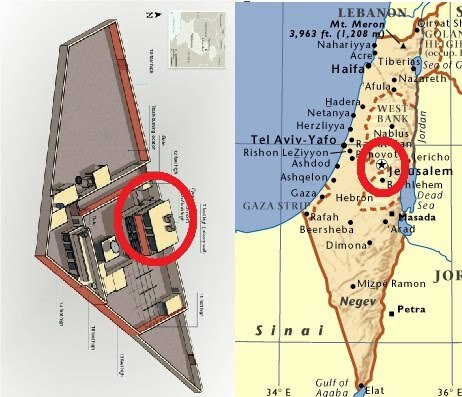 Apparently, if you look at the design of Bin Laden's compound and home, it could be conceived that he designed it to look like the Land of Israel. In this first picture, you can see that the curves and the layout share a remarkable similarity. As you can see in the picture below, the main house is located where Jerusalem would be. 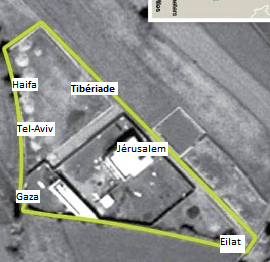 Here is a satellite photo of the compound with the names of the cities of Israel overlaid on it. Coincidence? Conspiracy? Nonsense? Or something more? Transcribed over the phone from Jameel. I just walked into our Communications Center to update them with our latest manpower assessments for the upcoming 24 hours and our deployment schedule. The radio crackled and I answered that we were online and listening. Our platoon leader then announced over the radio the blessing of Sefirat HaOmer. Every unit in the area responded affirmative over the radio by answering Amen. Labels: Jameel in Milluim. IDF. Omer. As most of you know Jameel is currently in Milluim which is why he hasn't been updating the blog. Perhaps next week he'll have time to dictate something to me over the phone and I'll post it. To my surprise, I had a little bit of free time this morning so I drove down to his base. We had a few good laughs (he'll tell you why when the Miluim is over, but some things are just not right - hameivin yavin). Jameel alleviated my concerns regarding the radiation (don't ask, as I won't tell). Unfortunately Jameel doesn't have enough food on his base, so he couldn't offer me lunch. Last week he actually went out to buy some Badatz food for one of his Chareidi soldiers who had nothing to eat at all on Shabbat. Lucky for me though, Treppenwitz had driven by earlier yesterday and left Jameel a box of rugalach. Thanks Trep, I had the blueberry rugalach. OK. I had a few of the blueberry rugalach. Anyway, here's the place to wish Jameel well in his Milluim, and that he keep safe in what I suppose is not considered a very safe area to be doing Milluim. His Milluim is very important. It's keeping a lot of Jews safe.